By Sia in Social Media. Updated on May 30, 2017 . Longtime users of Facebook are probably aware that some third-party apps, games and websites are integrated into the social network site, allowing the users to login to them through their accounts. While the integration can prove convenient, doing so may occasionally come with the side-effect of letting these third-party apps drown your Timeline with notifications, which directly leads to your friends’ News Feed being bombarded by status updates. If you would like to remove some of the more annoying updates without scrolling through your entire timeline, here’s how you can do so in a single screen. 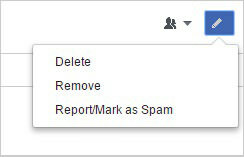 Open up Facebook and click on the Down Arrow button located right next to the Quick Help button. 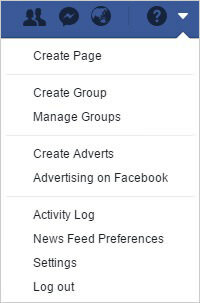 Select the Activity Log option from the drop down menu and click on the All Apps tab located on the Filters menu. To delete an app update, all you need to do is to click on the Edit button and select the Delete option. If you would prefer to stop the app from posting updates permanently, you can choose the Remove [App Name] option instead.